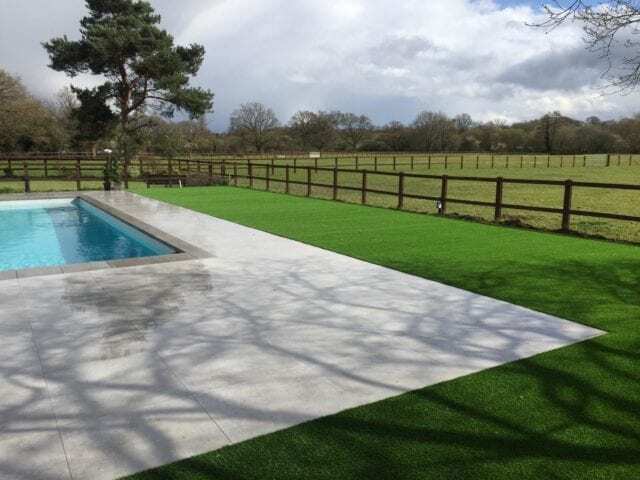 An outdoor swimming pool is a luxurious feature in itself, but Trulawn Luxury grass makes it extra special. 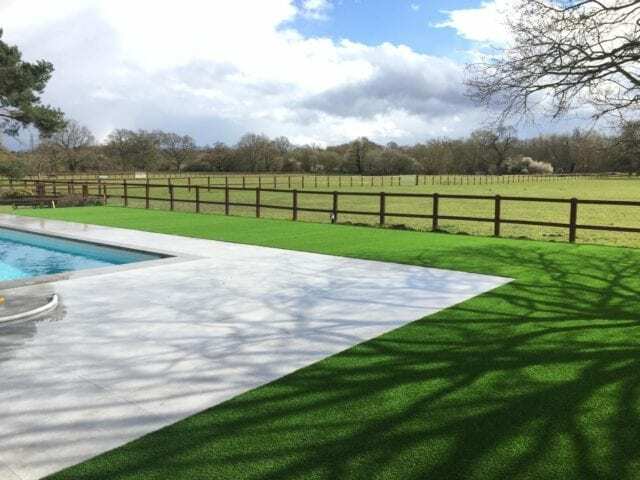 Using artificial grass to surround the pool makes practical sense, as it is far more durable than natural grass and is installed with a draining base beneath it. That way water drains away better, and you’re less likely to get mud in your pool. 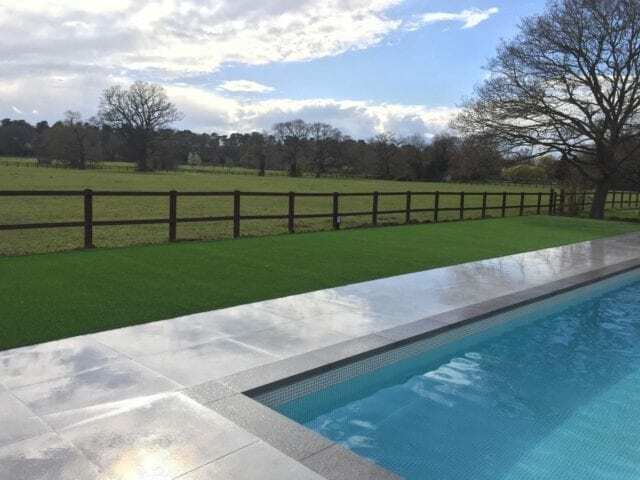 It also offers a softer surfacing for getting in and out of the pool, and brings texture and colour to the rest of the garden. 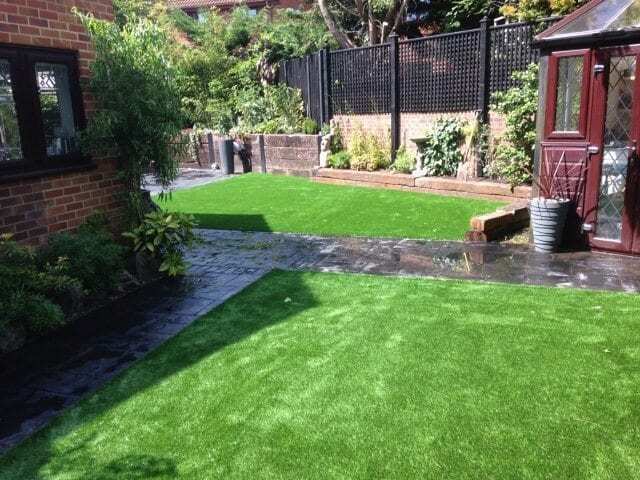 Rather than have an entire surface of hard landscaping covering the area, this is a much more attractive alternative. What Makes Trulawn Luxury Our Number One Product? 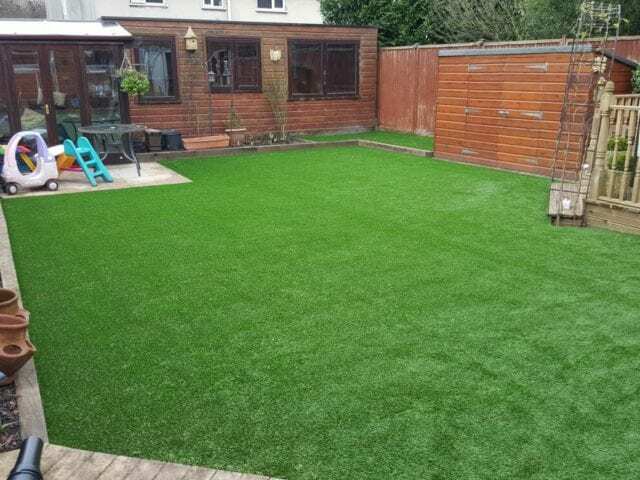 Trulawn Luxury is made from *100% Polyethylene* (unlike most products in the marketplace). 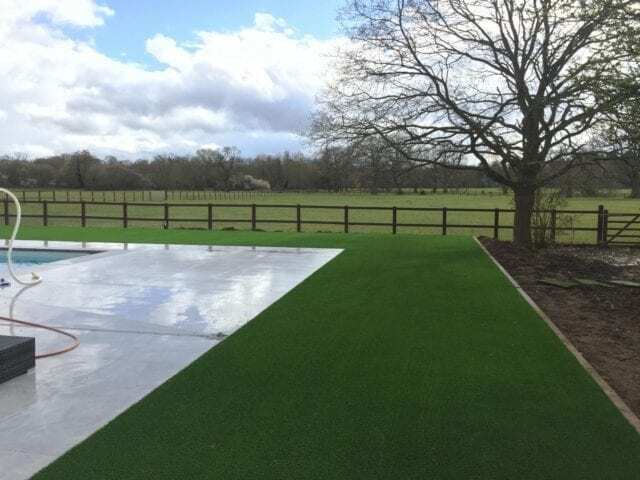 Trulawn Luxury has a much better combination of softness AND resilience than standard industry products – meaning better recovery rate & even less maintenance. 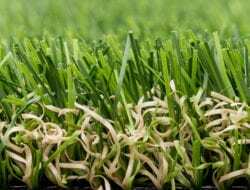 The Polyethylene yarn has a better overall UV protection against fading. 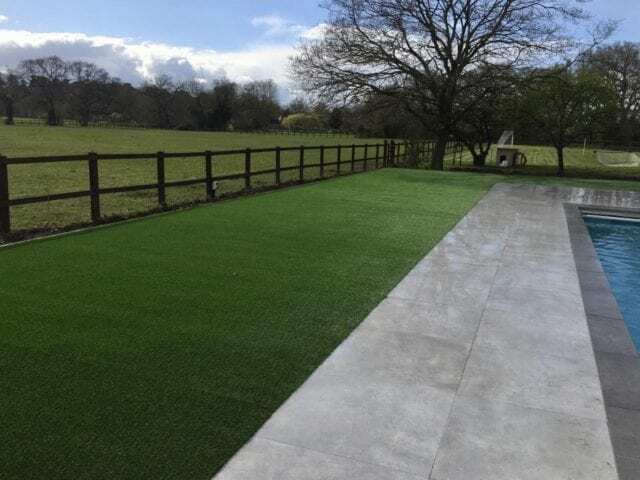 Trulawn Luxury also has a ribbed yarn which breaks the reflection of sunlight and reduces the shiny glare you often see on other artificial grasses. 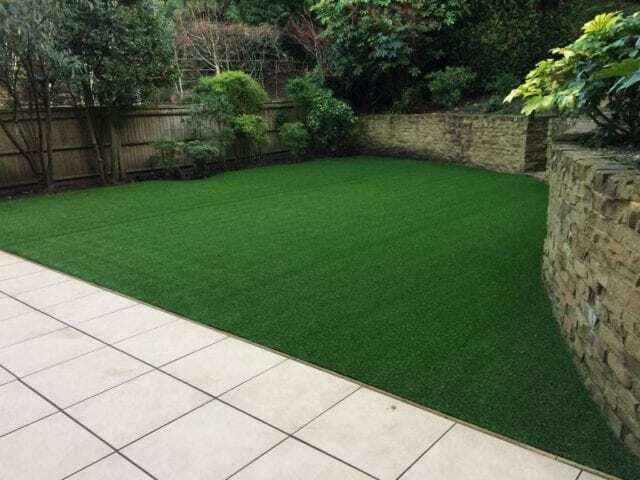 Trulawn Luxury is our personal favourite as well as being our bestselling grass.